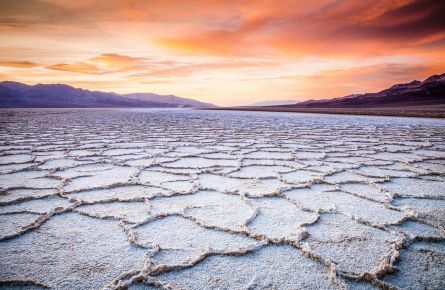 Death Valley National Park offers a variety of landscapes for photographers. The range and diversity of scenes is simply amazing. 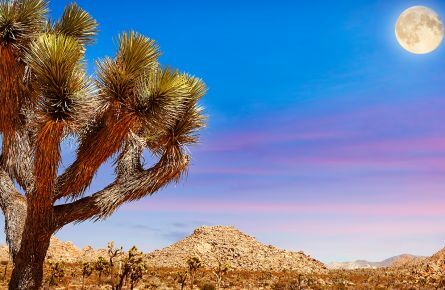 From valleys to sand dunes to canyons to salt flats to colorful wildflowers, you can come away with many photos from one national park yet people will think you visited many different locations. Very few places on earth offer as many textures, intense colors and extreme conditions to capture. 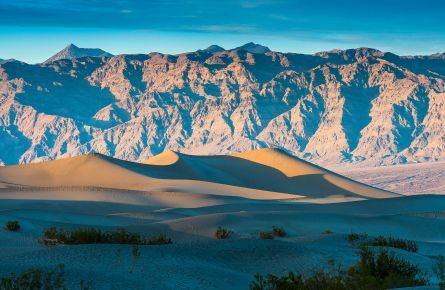 Below we list some of the best places to photograph in Death Valley National Park to help you plan your photo itinerary. 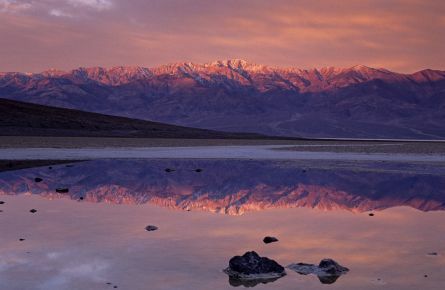 The Oasis at Death Valley is the ideal base camp for your stay. Centrally located, you can go out and explore the park and get your photographs and then return to the comfort of the resort. 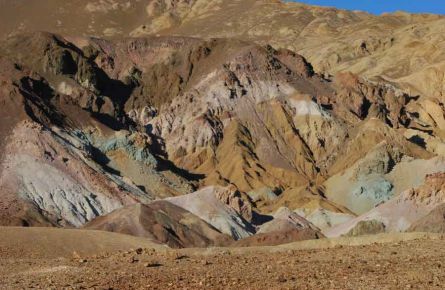 Sprinkled with green, yellow, red and purple, this prismatic terrain was formed by mineral-rich volcano deposits. 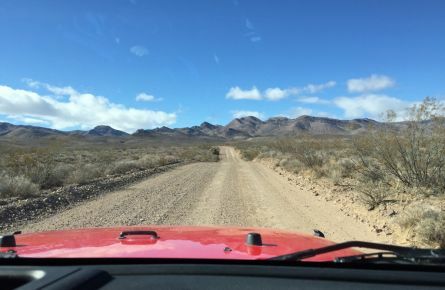 The lowest point in North America at 282 feet below sea level, is filled with vast, cracked salt flats that cover the nearly 200 square miles. The intricate salt crystals form surreal patterns across the immense landscape. 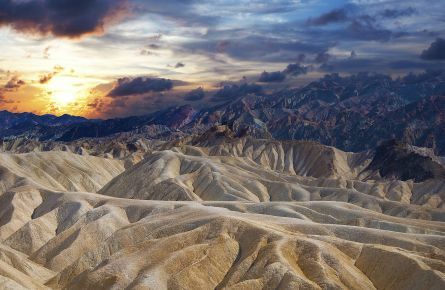 Named after a line in the 1934 National Park Service guide book for Death Valley, which stated that “Only the devil could play golf” on its surface, due to large, sculptural edges of the salt crystal formations. Atop the highest point in Death Valley (11,049 ft), one can see for a hundred miles in many directions. Surrounded by mountains on all sides the smooth mounds of sand stand in stark contrast to the jagged purple mountains in the distance. 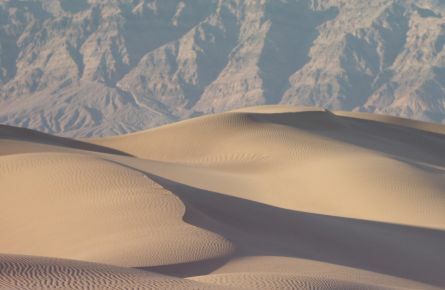 The tallest dunes in California are known for an eerie humming caused by the relative motion of moving sand grains. Visit the dunes in the early morning or late afternoon to capture the depth of shadows cast by their ever-changing landscape. Breathtaking, narrow canyons that open into a scenic and seemingly boundless valley. 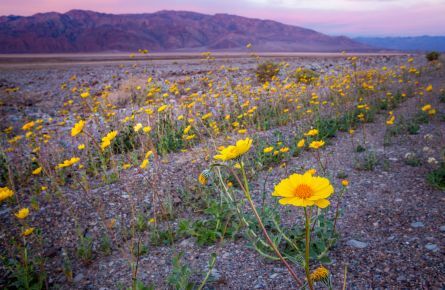 Dependent upon the year’s precipitation, the desert will occasionally fill with a sea of gold, purple, pink or white flowers in the early spring. Although there are years where blossoms are few, they are never totally absent. 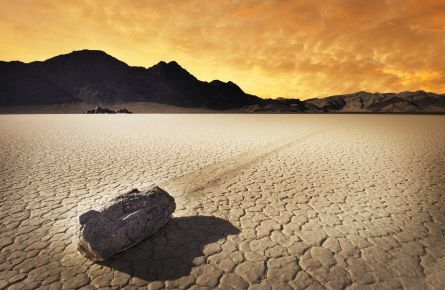 A seasonally dry lake, famous for rocks that mysteriously move across its surface leaving tracks behind them. 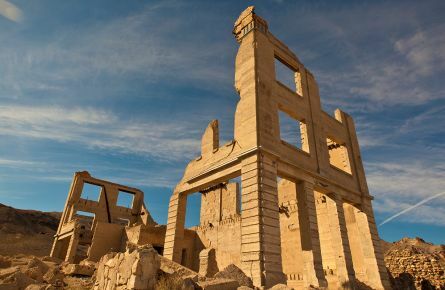 Just a few remnants of its glory days can be found in this once booming mining town, including a 3 story bank, jail and train station. 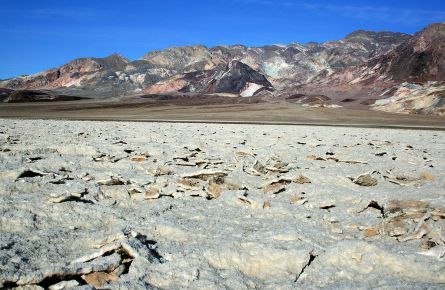 Composed of sediment from Furnace Creek Lake, which dried up nearly 5 million years ago, this jagged landscape was used to represent the surface of Mars in the film, Robinson Crusoe on Mars. 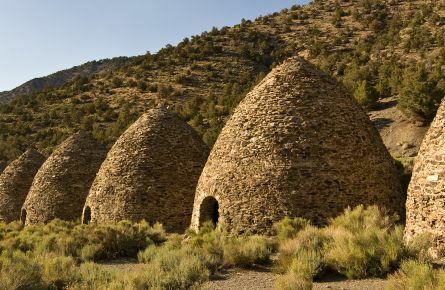 Another remnant of Death Valley’s mining history, The Wildrose Charcoal Kilns were completed in 1877 and were used to reduce Pinyon and Juniper tree wood to charcoal in a process of slow burning in low oxygen. This fuel was then transported to mines to feed smelting and ore extraction operations. Tree-sized yuccas stand tall in this mountain-rimmed valley. 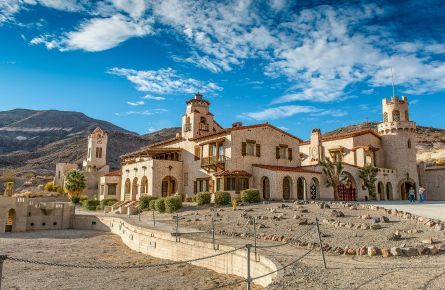 Travel back in time to this two-story Spanish Colonial Revival style villa built in the 1920s and experience the stark contrast of the luxurious home against the harsh desert landscape. 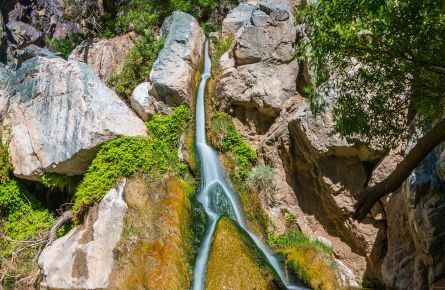 Unlike anything you’d expect to see in the desert, this spring-fed waterfall is surrounded by lush willows and migrating birds in the spring. 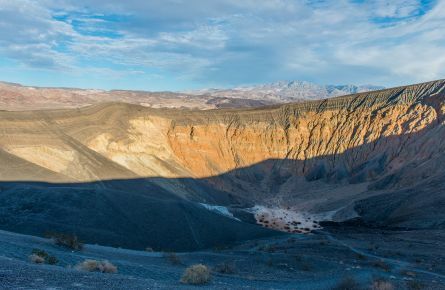 Ubehebe Crater is a large volcanic crater 600 feet deep and half a mile across.